Today I made the chocolate almond genoise cake which will be topped with raspberry jam and chocolate mousse. A genoise is an egg based cake and the rise comes from all the air whipped into the eggs - it's beaten for about 10 minutes or so to incorporate a lot of air. Splitting the recipe in half required a full dozen eggs! What I have learned is that each cake uses about 4 eggs, so that in the future I can scale down even further. 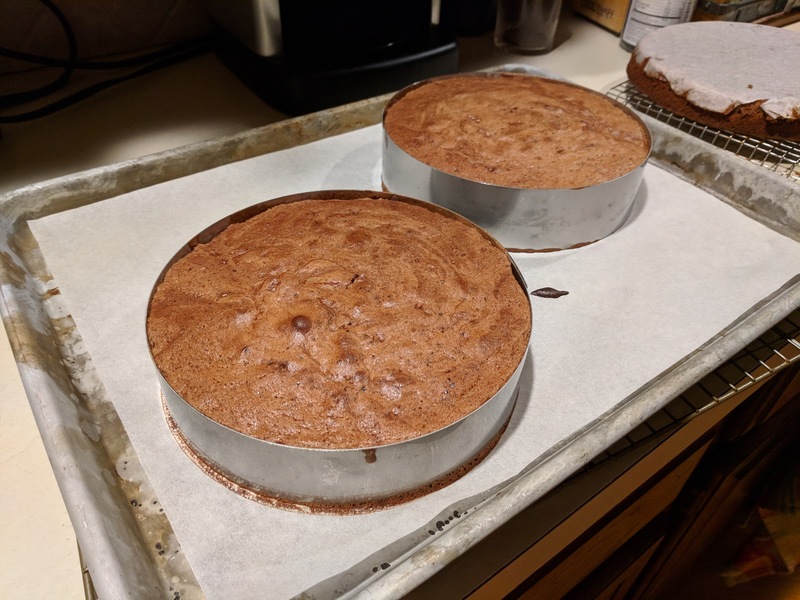 As it is, I now have 3 cakes to work with. One's in the freezer, that's my back up cake. The almond came from the almond paste I made yesterday.